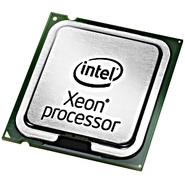 Hewlett Packard - 430816-L21 430816-L21 HP Intel Xeon MP Dual-core 7140M 3.40GHz Processor Upgrade. New Bulk Pack. Hewlett Packard - 433598-001 HP/COMPAQ - INTEL XEON 7140M DUAL-CORE 3.4GHZ 16MB L3 CACHE 800MHZ FSB SOCKET-604 MICRO-FCPGA 65NM PROCESSOR FOR PROLIANT DL580 G4 ML570 G4 SERVER (433598-001). NEW BULK. IN STOCK. SHIP SAME DAY. Hewlett Packard - 430816-B21 HP/COMPAQ - INTEL XEON 7140M DUAL-CORE 3.4GHZ 16MB L3 CACHE 800MHZ FSB SOCKET-604 MICRO-FCPGA 65NM PROCESSOR KIT FOR PROLIANT DL580 G4 ML570 G4 SERVERS (430816-B21). NEW BULK. IN STOCK. READY TO SHIP SAME DAY.